Taking the leap into entrepreneurship can be intimidating. We asked some of our franchisees to share why they decided to invest in a GetintheLoop franchise. All coming from different career backgrounds and different cities across Canada, it was clear that they all had an entrepreneurial spirit. I always wanted my own business, I don't have that corporate girl personality but I just hadn't found anything that really suited me. GetintheLoop turned into a great fit for many reasons... I looked at the business from a consumer's view and knew I would use it, and I did the same on the business side. It had to be a product/service that I loved and believed in, and GetintheLoop brought that. It had a great concept and business model. I appreciated that it was affordable for all businesses, and it was a place where they could showcase their business without deep discounting. Affordability was the other key factor for me, I am a single parent so I didn't have a lot of extra money. There is no need for a bricks and mortar location and no inventory costs, which made the franchise very affordable for everyone. Consumers and businesses love the concept around GetintheLoop because it makes sense and it’s simple; great things don't have to be complicated. There are many reasons why I jumped at the chance to buy this franchise, first was that it lit the entrepreneurial flame inside of me again. I had given up on the thought If being my own boss for far too long, but when I heard about GetintheLoop I got excited fast. Being able to work for myself and help local businesses have a voice in a very competitive market is a win-win. We purchased a GetintheLoop franchise for a number of reasons. One of the main reasons was personal and financial freedom. We want to be able to walk our kids to and from school each and every day. We also want to set ourselves and our kids up to ensure financial stability in the future. It was also new and exciting. We had both been in our careers for almost 20 years and it was time for a change. Finally, we truly believe in the app and the team’s vision. When I originally thought about buying a franchise, I was frustrated with my current day job and Getintheloop provided a new opportunity to build a business where I wasn't tied to a daily grind. A place where I could spend time with customers, a place where I could get back to enjoying what I do rather than going to work every day. Together with my wife, we have started out down the path of entrepreneurship, building our small business with the plan of continued growth. I have always been interested in the Technology Industry and was ready for a change in my current position, making a GetintheLoop Franchise a great fit for me. The thought of being my own boss as well as having a true work-life balance was what made me take the leap of faith. The support from GetintheLoop Headquarters and training on the system was more than I could have expected and made the transition into being a business owner smooth. Do you think you’re ready to take the leap into entrepreneurship? Get in touch with our Franchise Team and learn how you can bring GetintheLoop to your community. As a business owner, you know the work that can go into landing a first-time customer. There’s the initial outreach, emails back and forth, phone calls, meetings, paperwork and so-on. It can cost up to five times as much to attract a new customer than to keep an existing one. However, 44% of companies focus more of their marketing efforts on attracting new business, compared to only 18% that put more effort into customer retention, which doesn’t make sense! With customer retention comes recurring revenue - the portion of a company's revenue that is highly likely to continue month to month, or year to year. A recurring revenue model creates a sales team (or business owner) who is naturally inclined to be more relational in their interactions with customers, rather than transactional. In transactional sales, the sales-person or business owner only thinks in terms of a one time sale, whereas, with relational selling, the owner or employees get to know their customers, understand their challenges, and know how they can make a difference. This type of relational selling not only keeps customers happy - and coming back - but it builds a better brand, and a better business reputation in the market. Monthly recurring revenue is a more predictable, stable business model than one based on stand-alone projects. Fluctuating project-based models mean future cash projection is less certain, which makes planning and budgeting, and even acquiring investment or loans for growth more tricky. This model is highly scalable. Once the initial effort of winning the customer’s business has been successful, much less time and effort is needed to keep the customer, therefore you can invest in winning new customers in order to grow your business. To reiterate, new business must not come at the expense of losing your existing customers. Remember, it’s much more cost effective to keep your current customers than win new ones. Eventually, you may decide that you want to sell your business, and its value is usually based on a calculation of revenue or profit. The multiplier for recurring revenue is more than a business that relies on a one time sale therefore it will be valued higher and will be worth more. The recurring revenue strategy also makes collecting revenue much easier - there are no invoices to be sent and no payments to chase. Say goodbye to awkward debt collection calls! GetintheLoop isn’t a sell-it-and-forget-it service, however, it also doesn’t need to be “resold” each month because you will have worked hard to overcome the initial barriers that exist in all first time purchases of a new service. E.g. Can I trust this brand? Will I get a return on my investment? Once this has been proven to the customer, it’s much easier to make a second, third, and one hundredth sale to the same customer. It’s not guaranteed, because, well, nothing in life is ever guaranteed, but with much less effort than the initial sell, you’ll be receiving the recurring revenue on a regular basis in no time. Have you felt that pull from your cubicle, from the demands of your structured job? Do you often wonder what it would be like to run your own business, where you decide your hours, you are the boss, and your rewards are a direct result of your effort and input? You are not alone! Being a business-owner is a dream of many people. Did you know there are over 1.2 million business owners in Canada? Perhaps now is the time to join them. Is it time to turn that dream into reality? For some people, the idea comes first. A unique idea, product or concept that no one has brought to life yet. For others, it’s less about the product or the idea, and more just a deep-rooted desire to be one’s own boss. To have that flexibility of working as much as you want, when you want, whether it’s 2am or 2pm, in your home, a coffee shop, or at your kid’s soccer practice. Simply put, the Monday to Friday, 9-5 isn’t for everyone. Many among us have this dream, but not everyone has the education or resources to make it happen. Sometimes, the perceived risk is just too much to get started. For those who want to turn the dream into a reality, but don’t have a unique idea or product, purchasing a franchise of an already successful business is an ideal solution. Buying a franchise offers a less risky and less daunting entry into owning your own business. When you think of franchises in Canada, the ones that come to mind are probably Tim Horton’s, Subway, McDonalds etc. However, these are the big players, and will likely be out of the average person’s budget, so it’s advisable to start smaller. There are an estimated 1,300 franchise systems operating in Canada, with approximately 76,000 franchised outlets between them. This averages to approximately 58 locations per franchise system. Getintheloop has sold 45 in the first 9 months. Traditional franchises—those with physical locations—come with hefty price tags. While the average initial franchise fee in Canada is $25,000, the average total initial investment is much higher, averaging between $150,000 and $1,000,000. The purchase and renovation of real estate property is often the most expensive cost in opening a franchise. So, without a large budget, what are the options for wanna-be franchise owners? The digital world we live in now allows budding entrepreneurs to challenge the status quo. Digital innovation and disruption means that owning a digital franchise might soon be the norm. Forget the $150K - 1M+ set up fees and long-hours that come with a brick-and-mortar franchise—a GetintheLoop franchise is a ready-made business. For a low initial investment, and low franchise fees, you can purchase the exclusive rights to operate GetintheLoop in a defined geographical area. Yes! There is no overhead, zero. No real estate investments to make, no expensive equipment to purchase, no labour to hire. You don’t need any special skills, experience or education to own a GetintheLoop franchise. You can own a digital business with zero technical know-how. What is important to make this franchise a success is passion, a desire for success, and an outgoing personality or natural way with people. You’ll be talking to people a lot! Oh, and of course a computer and access to the internet - which you probably already have! It takes an element of risk to leave a steady job with a regular pay cheque for the unknown, and it certainly isn't for everyone. Which is exactly why a digital franchise works for the more risk-averse. That risk is greatly eliminated with a GetintheLoop franchise, we provide training, playbooks and support to help drive your success. Few small businesses make much money in their first year, if any at all. With GetintheLoop, you have the ability to become cash flow positive immediately and to recover your initial investment within a matter of months, not years. GetintheLoop has had over 3000 applications for our franchise program. That’s 3000 individuals, families, couples or teams of friends who are feeling the same way as you. Except they took that first step towards living the dream. They are one step closer to making their dream a reality. Isn’t it time you took that first step? Contact our Franchise Team to learn about opportunities in your area. Recently our Founder and CEO, Matt Crowell, sat down with the team at Above The Cloud to discuss GetintheLoop and why we decided to franchise the GetintheLoop app. This episode starts back at the beginning, as Matt walks the team through the early stages of GetintheLoop and how it ended up being a SaaS franchise opportunity. After sharing how he founded GetintheLoop, Matt explains how franchising GetintheLoop provides an opportunity for people to enter the new digital economy. He also emphasizes that this franchise opportunity isn’t just for a “young techy”. In fact, some of our most successful franchisees are middle aged couples. Matt explains that ‘tech’ is about making things simple and that’s truly what GetintheLoop is all about. What’s most important is that our franchisees have business sense and are empathetic to their business partners. To learn more about who the ideal GetintheLoop franchisee is, click here. Click below to listen to the full episode. What Can Retailers Do To Keep Customers Coming Through Their Doors? Local retailers are struggling as they have to compete not only with big-box stores that can offer lower prices, but also with online giants such as Amazon. The impact of the “Amazon effect” is very real, and businesses are having to think outside the box and be more creative when it comes to keeping existing customers, and encouraging more to start shopping locally. To read the full article about what retailers can do to keep customers coming through their doors in this age of online shopping, click here. Our Founder and CEO, Matt Crowell, sat down with Raffaello and Jonah of The Restless Podcast to discuss investors, mentorship, and the growth story of GetintheLoop. Matt made it clear that the importance of teamwork is huge at GetintheLoop. Not just within the core HQ employees, but with franchisees, investors, and mentors as well. When asked about pitching to investors, one of Matt’s biggest pieces of advice was to look for people who actually care about your company and your business. In addition, he recommended to ensure you’re the one controlling the narrative. Failing to do so can result in your businesses being controlled by a model that your investors came up with. To hear the rest of Matt’s tips on pitching to investors and the importance of having mentors, listen to the rest of the podcast below. While at the Calgary Franchise Show, our Founder and CEO, Matt sat down with Craig Lester of 660 City News to discuss GetintheLoop and share why it has become the fastest growing franchise in Canada. GetintheLoop’s Founder and CEO, Matt Crowell, recently sat down with the Canadian Franchise Association to discuss taking the leap into franchising. You can tune in to the podcast episode here. Taking the leap into entrepreneurship is scary, there’s no doubt about that! But, Matt made a great point during the podcast when he said, “people have a hard time jumping in today.” Have you been considering becoming an entrepreneur? Do it. What are you waiting for? With an already established brand, a training program, and a support system from corporate, investing in a franchise is a great way to enter the entrepreneurship world. Matt wanted to make it clear though that just because you’re investing in a franchise, it doesn’t mean it will be easy. In fact, one of the biggest challenges has been finding the right people. When asked what the most important things were for GetintheLoop franchisees, Matt quickly answered, “attitude and hustle.” A common occurrence is that people underestimate the work it takes to get a franchise off the ground. Franchisees will come in and picture the end, and not realize that you need to put in hard work right from the beginning. It takes a lot of work, but Matt made sure to point out how rewarding it is. A GetintheLoop franchise is all about local entrepreneurs helping other local entrepreneurs succeed with their business. What could be better than that? When asked what makes a good franchisor, Matt replied, “you need a team that cares a lot about the franchisee’s success. You have to care about the people that are investing in you.” In addition, Matt pointed out that being an entrepreneur is a very independent job. The difference with GetintheLoop is that your day is spent meeting people in the community and having conversations. In addition, when you invest in a GetintheLoop franchise, you join the GetintheLoop Wolfpack. Along with continuous support and friendship from the corporate team, GetintheLoop has created a support network for the franchisees. They have a place to share their wins, share their losses, and most importantly, have a space to share information and knowledge. 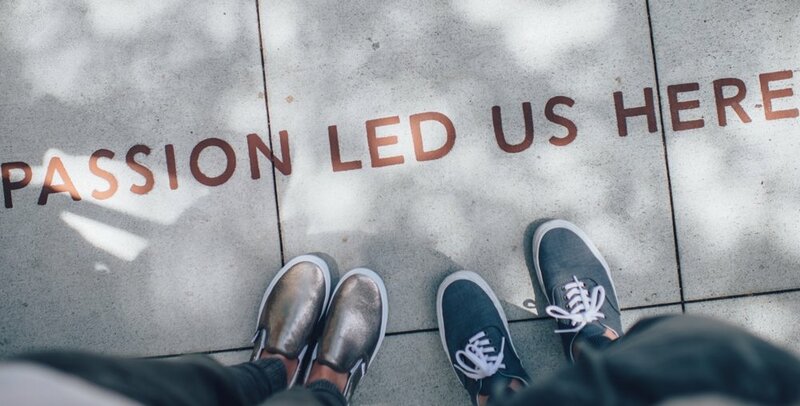 Being an entrepreneur can be scary, but it’s also the most rewarding career path. Want to listen to the rest of the podcast? Click here to tune in to episode three of the Franchise Canada Chats podcast. Chrissie and Clay Rozak are like any other Albertan family. Hard working parents trying to juggle full-time jobs with raising children. Except this couple decided that their lives weren’t quite hectic enough already, and became the proud owners of Airdrie’s GetintheLoop Local franchise! The decision to buy the franchise came about after a conversation Clay had with a good friend of his, another GetintheLoop franchise owner. After this initial conversation, he presented his idea for buying their local franchise to his wife. She just happened to be at a point in her own career where she wasn’t entirely happy and was contemplating making changes, so this opportunity was quite “serendipitous” as she put it, coming at just the right time for the family. GetintheLoop just made business sense to the Rozaks. Why wouldn’t consumers want a free app that tells them about incredible offers and experiences in their area? Why wouldn’t a local business want to pay a small fee each month to reach the phones of thousands of people in their local area? And why wouldn’t a franchise owner want to take this chance at being their own boss. The franchise fee was very reasonable, there would be no overhead costs, and it would allow the husband and wife team to work when they wanted, as hard as they wanted. To Chrissie, it was “a trifecta of components that came together and made sense”. In September 2018, Chrissie and Clay purchased the Airdrie GetintheLoop franchise. Chrissie, a self-starter, dived head-first into learning as much as she could about selling so that she was well-prepared for Loop University in November - an intensive training session at GetintheLoop’s Kelowna, BC headquarters that provides new franchise owners with everything they need to start running their business on day one. While the experience of being an entrepreneur thus far has been extremely rewarding for the Rozak’s, it hasn’t been without its challenges. They found the brand was relatively unknown in Alberta, so trying to sell a product that wasn’t already on people’s radar made the road ahead more interesting. However, this couple was driven to succeed and quickly found ways to navigate the challenges. Chrissie and Clay closed their first 10 clients within 50 days. They have set themselves the goal of 100 clients by the end of 2019, and have even set their sights set on purchasing a new market! Wanting something to call their own, three friends with entrepreneurial spirits saw an opportunity when GetintheLoop’s Fort McMurray franchise became available for purchase. Sean knew the brand from previously living in Kelowna and he saw how it had potential in his new home town of Fort Mac. When Nate headed to Kelowna for a wedding, Sean encouraged him to download the app and check it out, and Nate was instantly hooked, using the app to take his children to places in the city he hadn’t heard of, and at reduced rates! The friends recognized that this was something that Fort McMurray was missing. With downtown businesses struggling, Sean says he saw how GetintheLoop could bridge a gap of awareness in the local market. “Essentially customers can, through the app, see inside a store that they wouldn't otherwise know about it.” Nate agreed, pointing out that downtown businesses in Fort Mac had been struggling lately, so by bringing in this new app, they are hoping to boost local business for the small guy. Weighing up the risks and rewards, Sean, Nate and Scott knew that with GetintheLoop’s success in other markets, and their hard work ethic, they could make it just as successful in Fort McMurray. With no overheads needed, just sweat equity as Sean put, they could see that the potential rewards from this venture were unlimited. After attending Loop University in September, the trio headed back to Fort McMurray excited to hit the ground running, targeting their ‘wish-lists’ of businesses first. With GetintheLoop’s market development team on location, taking them door-to-door with tried and tested sales techniques, they had all the tools needed to succeed. 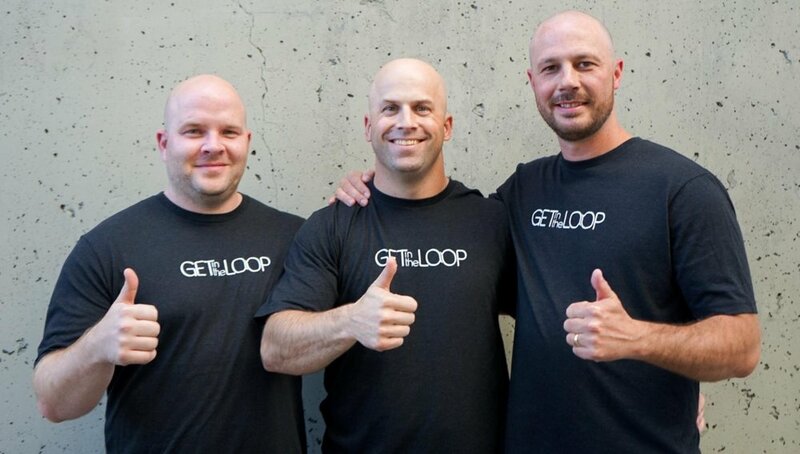 The fact that GetintheLoop was not yet a well-known brand name in Alberta proved to be no problem for Sean, Nate and Scott. They quickly discovered that they were natural salesmen, and by simply talking to businesses, educating them on changing consumer behaviours and smartphone usage, they were able to get businesses excited to part of something new, and something big. While sales came easily to these gents, they found the servicing-side of the businesses to be the more challenging aspect. Maintaining relevant offers on the site at all times is critical to keep consumers using the app, and this is where the corporate office support was invaluable for Sean, Nate and Scott with help on everything from creating offers, to best practices on social media. Rising to the challenge, the team learned all they needed to know, and have found themselves settled into an easy routine of scheduling calls with customers, testing different offers on the platform, and finding what works for each business. For this team, their goal is for GetintheLoop to be the number one source for information in Fort Mac, the app everyone turns to for any information on what’s going on in Fort Mac, and they are well on their way there! Want to read more about the Fort McMurray team? Download the free case study here. Still considering taking the plunge and buying a GetintheLoop franchise? We get it, it’s a big decision! Chrissie Rozak and her husband, Clay, bought a franchise in Airdrie, Alberta. We sat down with Chrissie and asked how she knew that GetintheLoop was the right decision for her family. In case you need more reasons to get in touch with our franchise team, we’ve put together a list of six reasons why entrepreneurs across Canada have purchased a GetintheLoop franchise. Easy to get started: We provide you with training, go-to-market collateral, a leading edge technology platform, and on-the-ground training and support. We even help you make your first few sales. We expect you will have questions. Our Franchise Team is here to answer them. Click here to get in touch with them right away. Statistically, Canadian franchise companies sell an average of four franchises in a year. In July of 2018, we announced the GetintheLoop franchising opportunity. By September of 2018, we sold ten franchises. By November? Thirteen. We started 2019 with five new franchisees joining the GetintheLoop family in January. How did we sell 18 franchises in the span of six months? We've said it before, but we’ll say it again for the people in the back… we’re not your typical franchise! In fact, we’re Canada’s first ever SaaS digital franchise. What does this mean for you? You don’t need a bricks and mortar location. To start your business, all you need is a mobile phone, a laptop, and a go-getter personality. A more affordable franchise fee. Culture is a huge part of what makes GetintheLoop successful, so we made our franchise fee affordable to ensure no one was deterred. Control your income. Work harder, sell more businesses, generate more revenue. It’s a simple equation and it’s entirely within your control. Want to learn more about what the ideal GetintheLoop franchisee looks like? Read our post about it here. Why else are people across the country purchasing a GetintheLoop franchise? They believe in our purpose. In an age where small to medium sized businesses get lost in the digital space due to algorithms on social networks and large advertising budgets going to Silicon Valley companies, it’s easy to feel silenced. GetintheLoop gives a voice to local businesses. GetintheLoop truly is a company run by locals, supporting local businesses, and benefiting the local residents. Do you want to learn more about being a part of Canada’s fastest growing franchise? Get in touch with our franchise team here and find out how you can bring GetintheLoop to your hometown. Happy New Year! I hope you have taken some time to recharge, get focused and gear up for an exciting 2019. I spent a lot of time over the holidays reflecting on the past few years both in my professional and personal life. I find it valuable to reflect on the past year's successes but also changes. Change brings opportunity; reflecting on what your biggest asset is when it comes to change can help position you better for those opportunities. I didn’t have to look too far to realize that my strengths are positivity and optimism. I genuinely believe the best will happen, always. That’s not to say that everything I do turns out positive, but my approach, the energy I put in, the outcome I visualize is always positive and I don’t see why anyone wouldn’t want to be thinking the same way! I wanted to start 2019 by writing about all of the opportunities we have in front of us and our reasons to be positive. I challenge you to take this approach with you to see what you can achieve in 2019. One of the biggest changes I have made in the last year has been a dedicated focus on surrounding myself with positive, optimistic individuals. Life comes at you fast, there are ups and downs, and the last thing you need is to be associating with anyone who hinders your ability to believe in the best. Focus on removing negative individuals from your life and make room to meet and spend time with the positive people in your life. This has been one of the biggest differences in my energy, and focus. I spend my time learning and growing with people who think like me, and less time with negative energy vampires in my life. They say that 93% of your communication is non-verbal. It’s all about your energy, your body language, your tone, and how you carry yourself. I challenge everyone to make a conscious effort to engage, say hello, and give a high-five or thumbs-up. The more energy and radiating positivity you can bring to each interaction you have, the more you will have the same energy returned. Make time to say hello and become that energy everyone is looking for, you won't believe the difference it makes in your own mood and outlook! As much as Social Media is the future, it should also start to become a part of your past. I am not suggesting that you completely unplug from social media, but I plan to continue to focus more on opportunities to unplug, disengage, and bring balance. Your interactions and the people you associate with shape your social media experience much the same as in person. Un-follow those negative people on your Facebook, and delete friends that constantly post about negative news. Create your own social media experience following positive friends and inspirational leaders, who you relate too, and use it as an opportunity to learn. I use social media as a tool to educate myself by following industry leaders and other profiles that I relate to. Take back control of the time you spend on social media and the people you follow. I am POSITIVE you can turn your social media time into a desirable feed of uplifting and forward-thinking interactions, but this is only done by removing the negative interactions. Surround yourself with positivity. These are just a few of the pieces I have on display in my house… there’s more! This was one of my biggest weaknesses from age 16 – 30. Like so many others, I have been in the rat race we call striving to succeed. I left junior hockey early because I needed to start university. I left university early because I needed to play pro-hockey. I left pro-hockey early so I could start a career, and then I did nothing but focus every minute of every day on GetintheLoop and its success. I have been driven by the “what’s next” for over half of my life. It was about 18 months ago when I looked back and realized how much I've actually enjoyed being “in the grind.” I have been in control and living out my dream every day, but never stopped to notice it. I was always looking for the next milestone, the next achievement. I am sort of a millennial, but only older. Today, I see so many people striving for more, to earn more, get that next title, that next date, that next car, or the bigger house. This is all good in my opinion as we need goals, and I celebrate bigger and better. The problem? We feel like we need to get to the next level because where we are at, is not good enough. WRONG. Each and every step of life is a gift and we need to focus on enjoying every day and every step, as you will never be in this place again. Embrace that even the hardest challenges are opportunities to learn, to improve and all of a sudden they are seen as positive steps on your journey. With the right attitude, a lot of hard work and a bit of luck you're going to end up where you want to be but make sure you take time to appreciate where you are today. You have to believe great things are ahead. First of all, why wouldn’t you? What’s better than waking up every day with the belief that today will be a great day. Almost all of the exciting or positive things that have happened to me in my life came out of nowhere. The path once complete seemed obvious but the whole time I was going down the road I didn’t know exactly how it would happen, I just believed, stayed positive and worked hard. Your next big win, goal, or achievement could be so close, you have to believe it will happen and staying positive will be a key to getting there. Like with anything in life, to be good at it you have to work at it. Turning your attitude and your approach to a positive one is no different. Take time to focus on it, surround yourself with people, signs, sayings and whatever else it takes for you to replicate and emulate a positive attitude day-in and day-out. It’s amazing what the power of positive people can bring. Join the movement of positivity, hustle, and growth that I plan to focus on as we head into 2019. Here is to another fantastic year! At GetintheLoop, our team is known as The Wolfpack and this extends to our franchisees. When you purchase a GetintheLoop franchise, you join our family, and we ensure you have the support you need to be successful. Once you’ve purchased a GetintheLoop franchise, you will attend a three-day immersive training session with your fellow franchisees. Loop University is a crash course on all things GetintheLoop… plus a little bit of fun! GetintheLoop isn’t your typical franchise, so we make sure Loop University isn’t your typical training course. Once you’ve purchased your GetintheLoop franchise, our Corporate Marketing team starts working right away to ensure your market launches successfully. With a three phase market launch program strategy, the Corporate Marketing team helps drive brand awareness within your market. You’ll continue to work closely with the Corporate Marketing team going forward as they support you with social media activity, events, contests, and promotional materials. Every GetintheLoop franchise is paired up with a Franchise Development Manager (FDM), who will support your sales efforts. Visiting you in market, your FDM will hit the streets with you and help you sell your first ten businesses. Even once you’re confident in selling, your FDM will continue to check in and ensure you’re supported and successful in all sales efforts. To aid in creating offers on the platform and servicing your business partners, every franchise has a Franchise Support Manager (FSM). As your main point of contact, If they can’t help you themselves, your FSM will immediately put you in contact with someone at HQ who can answer your question. Essentially your FSM is there to ensure your success. Franchisees have access to our Online Portal; full of Sales and Marketing Toolkits, How-To manuals, Guidelines, FAQ sheets, and step-by-step videos on how to make your franchise successful. Are you ready to own your company and have the support of the Wolfpack behind you? Book a meeting with our franchise team today to learn more about bringing GetintheLoop to your community. Wanting to become entrepreneurs and create a new revenue stream for their families, Scott, Sean, and Nate purchased the GetintheLoop Fort McMurray franchise. After attending the first Loop University training session in Kelowna, they returned to Fort McMurray ready to come out of the gates strong. The team hustled hard, signing 30 local businesses in 30 days, including the city’s newest major shopping centre. This effort played a key role in generating local enthusiasm, excitement and awareness amongst residents. 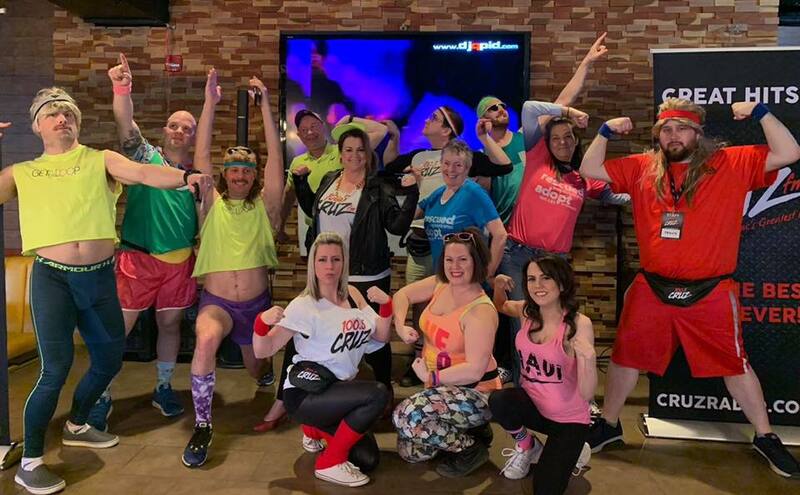 They threw a launch party with their partner, Boston Pizza, with support from the Fort McMurray Mayor in attendance, along with many families within the community. The community has been so supportive of GetintheLoop that the Fort McMurray team has made sure they show their appreciation by giving back. Partnering with the local Wood Buffalo Food Bank, the Fort McMurray team initiated the Downloads4Dollars campaign, where GetintheLoop donates $1 for every app download through an entire month. The GetintheLoop Fort McMurray team also raised 669 pounds of pet food for the Furry Friends Food Drive! Not only have they been able to build a strong sense of community and support local charities, the Fort McMurray team successfully paid off their franchise fee in less than 90 days from when they first launched their market! GetintheLoop Local was created to empower local entrepreneurs within their communities. Scott, Sean, and Nate embody what it means to be a GetintheLoop Franchisee and we couldn’t be more proud of their success. Are you ready to bring GetintheLoop to your community? Book a meeting directly with our franchise team by clicking HERE. We can’t wait to hear from you! 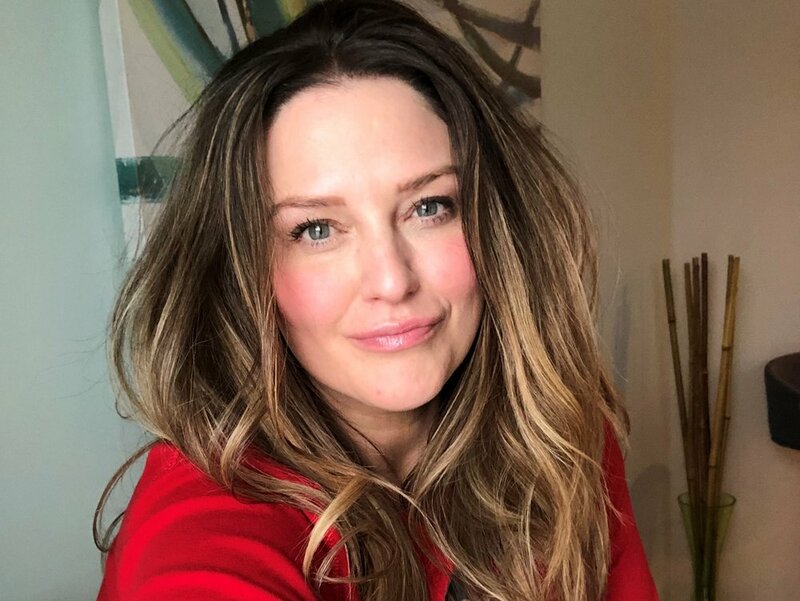 We sat down with Chrissie Rozak, the owner of GetintheLoop Airdrie when she came to town for Loop University and talked to her about what really drove her to purchase a GetintheLoop franchise. The affordable franchise fee and incredibly low overhead costs of GetintheLoop opened the entrepreneurship door for Chrissie and her husband. Always wanting to own their own business, a GetintheLoop franchise removed many of the barriers that typical franchises have. It was important to Chrissie that the culture and morals of GetintheLoop had to align with her family’s values. It didn’t take long for Chrissie to realize that the GetintheLoop family, or Wolfpack as we like to call ourselves, could easily become an extension of her own family! Do any of Chrissie’s reasons for buying a franchise strike a chord with you? Book a meeting with our franchise team HERE and learn more about bringing GetintheLoop to your city. There’s a lot that goes in to buying a typical franchise. You need to secure a bricks and mortar location, buy equipment, hire staff, and of course, pay a hefty franchise fee. It’s a significant financial investment with lots of risk. The good news? GetintheLoop isn’t your typical franchise. A GetintheLoop franchise fee is only $35,000, considerably less than almost all other franchise opportunities. Better yet, GetintheLoop franchisees can operate a franchise with just a smartphone, a laptop, and go-getter attitude. No building, no equipment, no staff. Let’s talk numbers. When a franchisee signs up 50 local businesses they could make $94,500 a year. Sign up 100? You’re looking at an income of $189,000. The average franchisee will have the capacity to service more than 150 local businesses at one time… we’ll let you do that math. Does it sound too good to be true? It’s not! GetintheLoop Local was built to empower local businesses and entrepreneurs alike. Get in touch with our franchise team HERE to learn more about bringing GetintheLoop to your city.